Why do so many organisations ignore the importance of storytelling? People said it would never happen – but Northern Ireland recently won a host of tourism accolades, including Lonely Planet‘s prestigious region of choice award for 2018. Its success has been magical – but it’s more than a fairy tale. Back in the mid-2000s, when the tourist board came to me with the conundrum of having to create a captivating brand, it sounded like a nightmare task, given their troubles. So what changed that? One word: stories. A recent Fast Company article heralded storytelling and creativity as two of the four essential attributes of HR leaders of the future. I’m not really that surprised. HR has been systematised, digitalised, BHAG-ed and VUCA-ed for more than a good decade now. It seems that everyone claims to ‘have an app for that’ problem, but if that was really the case, why bother with the people at all? The channels run themselves, right? The moot point is that people are not relentlessly pragmatic or rational. They are sentient, emotional, social beings. They crave the space and license to feel, to express, to innovate, to think, to create. Financial directors may not always realise it, but these qualities are going to remain at the pinnacle of wants for new generations of workers. They will remain key differentiators for businesses, too, so ignore them at your peril. Spoken stories are probably the ground zero of communication. They certainly pre-date written communication and have been used by groups to pass down the legends, myths, folklore and moral codes of particular societies since sentient beings first learned to grunt in code. This basic thread is imprinted on our brains in childhood from reading stories. Of course, each story has its own nuances and cast of complex characters that test and support the central figure. A change programme without a compelling context will encounter unnecessary resistance because it’s a threat to their ordinary world, their family, their ‘Shire’. Northern Ireland was an extreme case that proves this point. Factional violence and political unrest had literally divided a country and made an entire population both ashamed of their past and afraid to tackle change. So we had to tread carefully and choose neutral ground. Stories became the banner to unite behind. How visitors would perceive their country in five years, and why? The senior leadership team worked collaboratively on this. They led by example, with the HR director and chief operating officer playing unifying and orchestrating roles. They kicked off sessions by telling deeply personal stories, then found the baton was much more readily accepted and the communal experience was both bonding and inspiring. The whole process took around two years, leading to the bold advertising campaign they delayed until the internal work was complete. The original adverts featured an enchanting myth about a mermaid, but the results have transcended even their wildest fantasies, resulting in accolades and tourism figures many multiples more than originally envisaged. 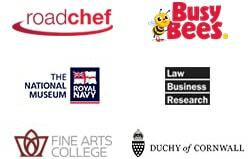 I was pleased to feature NITB as an important case study in Brand Champions, alongside other great examples. The mermaid herself may or may not have influenced one of the characters in the trilogy of children’s books I’ve just written, catering for the other end of the spectrum – before the bad habits of adulthood and cynicism set in. So that’s NITB’s story. What’s yours?